Learn about how Roman and prehistoric worlds are within reach just beneath Britain's surface. Then hear Commander Chris Hadfield describe what he's captured in his photos of our planet, taken from 250 miles away. And listeners share highlights of their travels in Israel and Palestine. Chris Hadfield's books, "An Astronaut's Guide to Life on Earth," and his photo book, "You Are Here," are published by Little, Brown and Company. They are available from the ChrisHadfield.ca website. His latest title is a children's picture book about encountering the unknown, called "The Darkest Dark." 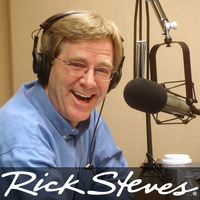 Watch the "Rick Steves' The Holy Land" TV special. Caller Joe in Seattle found Palestinian products for sale by Canaan Fair Trade in Jenin.